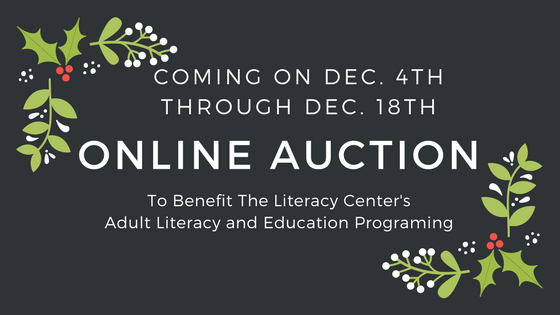 The Literacy Center needs your help to continue providing literacy education to individuals in our community so they can live good, informed, independent lives. Unfortunately, many of us take for granted our ability to read prescriptions, the newspaper, and even a ballot. Many of the adults in our community struggle daily to make sense of life without efficient reading skills. Reading is fundamental to success in life and illiteracy diminishes the freedom to live life to the fullest. Our challenges in improving our community’s literacy levels are as great as they have ever been, but with the generous support of people in our community, like you, we will be able to continue to help many of these adult learners live productive and satisfying lives. And, as area adults improve their literacy skills, our city and state benefits from an improved workforce and citizens who participate more fully in their communities. Please show your support by making a donation today! Your support will make a life changing difference in the lives of individuals and families in our community. Send your donation in the enclosed envelope or feel free to donate with a debit or credit card online at http://www.litcenter.org/donate-2/. If you would like to learn more about our work at The Literacy Center, please call our office at 429-1222 or check out our website at www.litcenter.org. We are grateful for your support and partnership in our mission to improve adult literacy and education in order to strengthen our community.